San Mateo County Libraries is proud to have such a diverse collection of books that serve our community. 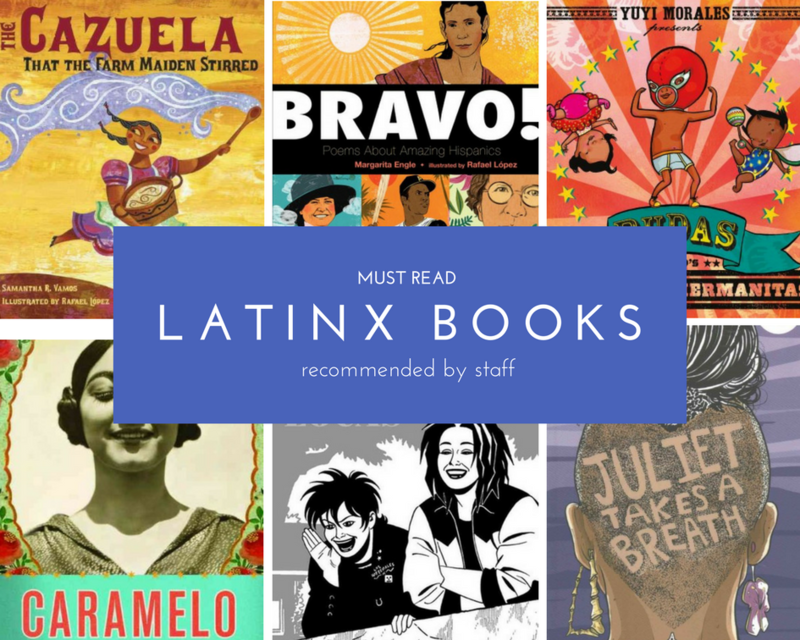 In honor of Latinx Heritage Celebration, September 15th through October 15th, our librarians have collected a list of their favorite books that feature a Latinx character. Check them out below! If you haven’t read our blog post about the Pura Belpre Award for Children’s Literature, check it out for a longer list of book recommendations. However, here are some of our very favorites. For the slightly older readers, our list has a little bit of everything. From comedy to the immigrant experience, read about the different familias in Latinx culture within the list below. Teen years are about discovering one’s own identity, which can be difficult to do when you are caught between two different cultures and traditions. We have compiled titles that will speak to the teen in your home, or within yourself, full of characters who are coming of age in a world so different from that of their parents. Latinx American literature is currently undergoing exciting times with novels by Junot Díaz, Reyna Grande,and Juan Pablo Villalobos. Take a look at some new novels by these authors, as well as revisiting older works by Gary Soto, Sandra Cisneros, and the Hernandez Brothers. Have some favorites of your own? List them in the comments below!